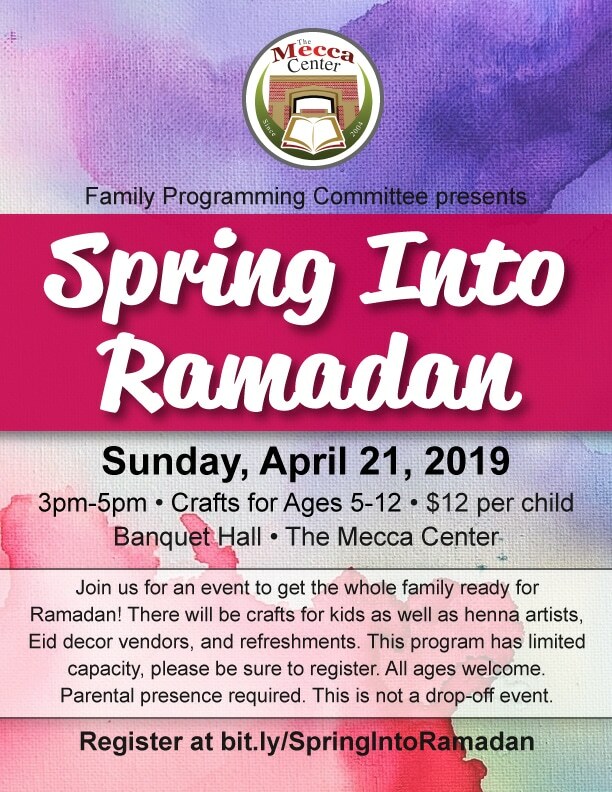 Join us for Spring Into Ramadan, a children’s craft fair on Sunday, April 21, and get the whole family ready for Ramadan! There will be crafts for kids as well as henna artists, Eid decor vendors, and refreshments. This program has limited capacity, please be sure to register. Parental presence required. Children under 5 are free!